Dr Andrea Douglas wears many hats – she is a medical researcher driven by the prospect of discovery and also a Director of AusBiotech, Baker Heart and Diabetes Institute and BioCurate. Formally the CEO of the Gene CRC, this year, Dr Douglas began a new role as Senior Vice President, Organisation Transformation and External Affairs for CSL Limited. “If I think back to when I was 16 and look at where I am now, I would never have mapped this path,” she says of her distinguished career which includes a PhD in Forensic Medicine and Masters in Health Administration. For Dr Douglas, diversity in the workplace is not just about gender balance or work/life balance, but the importance of cultivating both intelligence quotient (IQ) and emotional quotient (EQ). While achieving it at times can be challenging, having balance in her life fuels Dr Douglas with energy to “be a better wife, mum, friend and colleague”. She adds it’s important to remember there’s no set 50-50 or 20-80 rule about balance, and finding it is different for everybody. 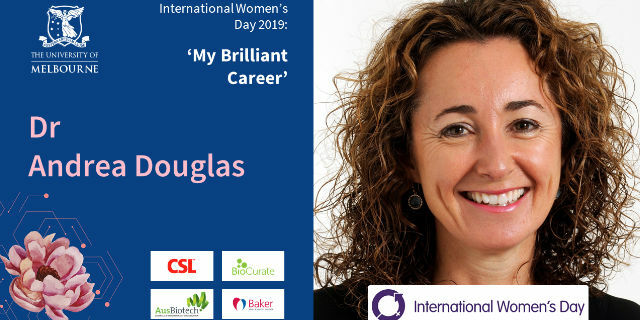 It’s been the backing of multiple male bosses across a 30-year career that has helped raise her ceiling, says Dr Douglas. When it comes to seeking out support and career advice in biomedicine, Dr Douglas advises women to call upon all of their reserves whenever they need to. “Talk to people and ask for help, particularly in periods of your life where it’s challenging,” she suggests. 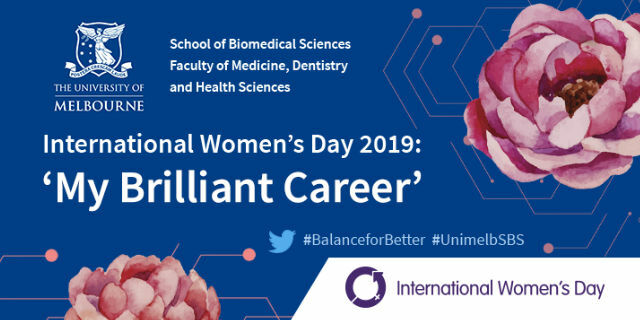 Hear more from Dr Douglas and the panel of leading women in biomedicine in the International Women’s Day: My Brilliant Career podcast. Available from Friday afternoon, 8 March.